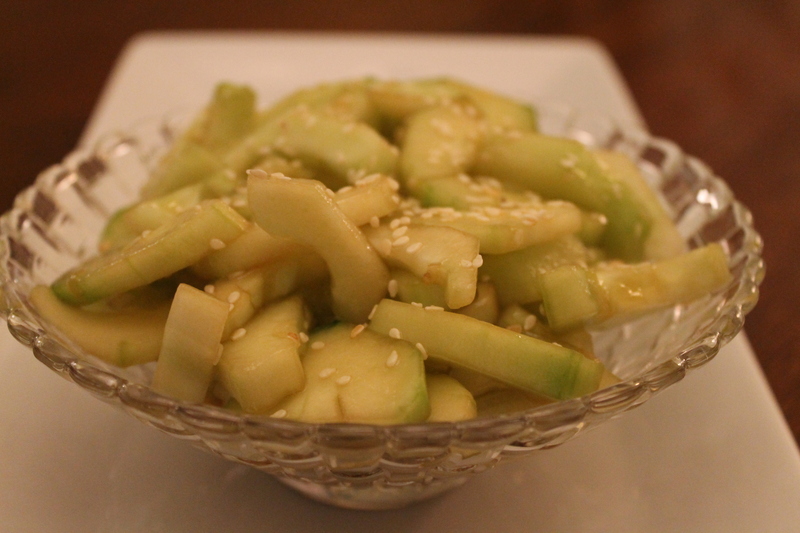 Cucumber salad is a very light, refreshing side. It is simple to make and easy to prepare. It is a great side when preparing any type of Asian dish such as stir-fry, lettuce wraps, etc. This recipe serves 4. Peel the skin from the cucumbers. Slice the cucumbers in half, lengthwise. Remove the seeds then slice each cucumber half into bite size, half moon shaped pieces. In a bowl, mix together the sesame oil, sugar, white wine, and soy sauce. Toss the cucumbers with the dressing mixture. Place into serving bowl then top with toasted sesame seeds. 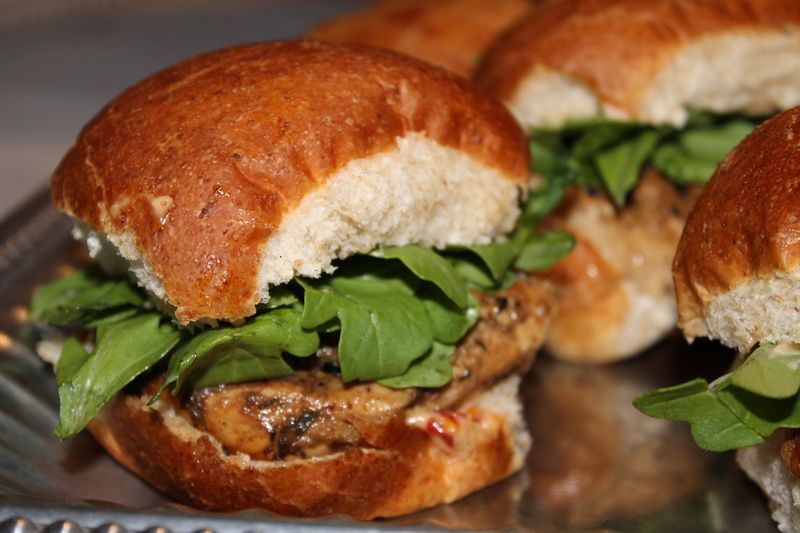 Chicken Sliders are great as an appetizer, a snack or even a meal. They would be an excellent treat for tailgating! The sundried tomato mayo makes the sliders extra tasty. 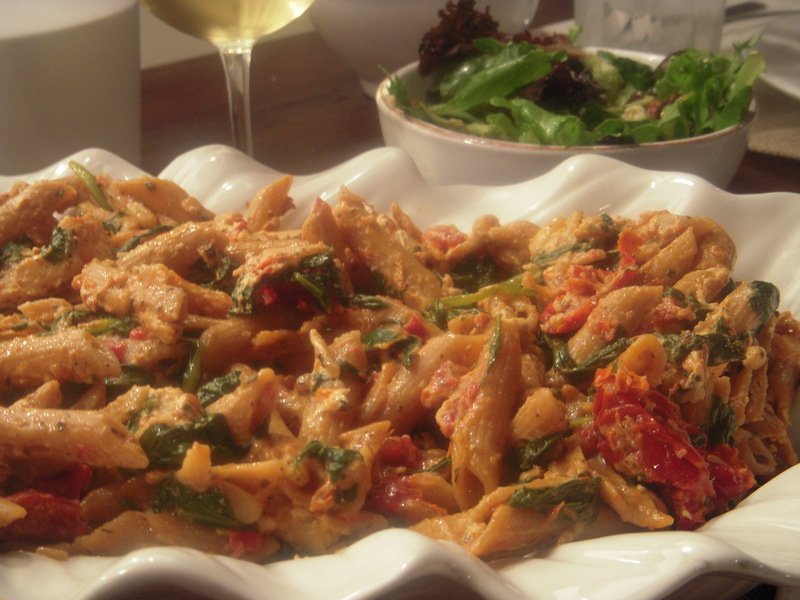 This is a great recipe to use with leftover chicken and could be very easily doubled or even tripled for a crowd. Spread the sundried tomato mayo on both sides of each roll. Place one chicken piece on each roll. 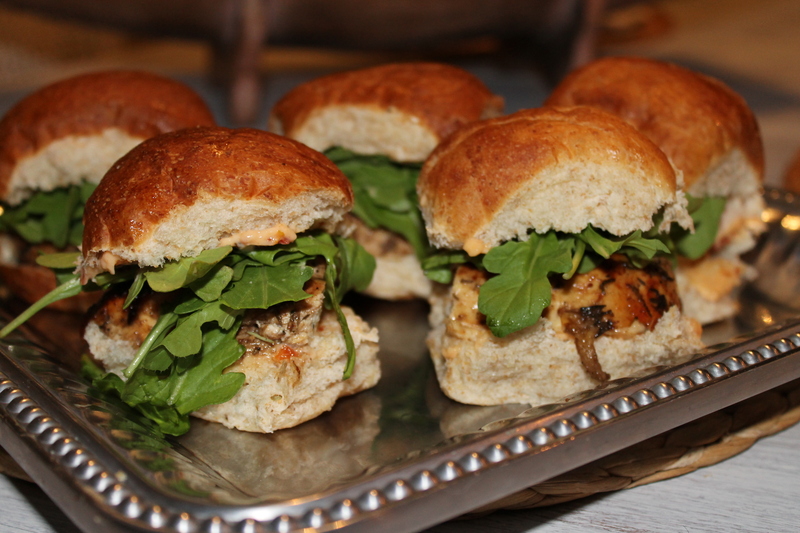 Top with a pinch of arugula and your slider is ready! Combine all ingredients. Stir unil blended. Whether you think you are a brussel sprout fan or not, you have to try these! They are great as an appetizer when served with the sauce recipe below. You can cook the brussel sprouts on a grill or in the oven. They are ready to serve when the bacon is crispy and the sprouts are tender. Wash brussel sprouts and cut lengthwise. 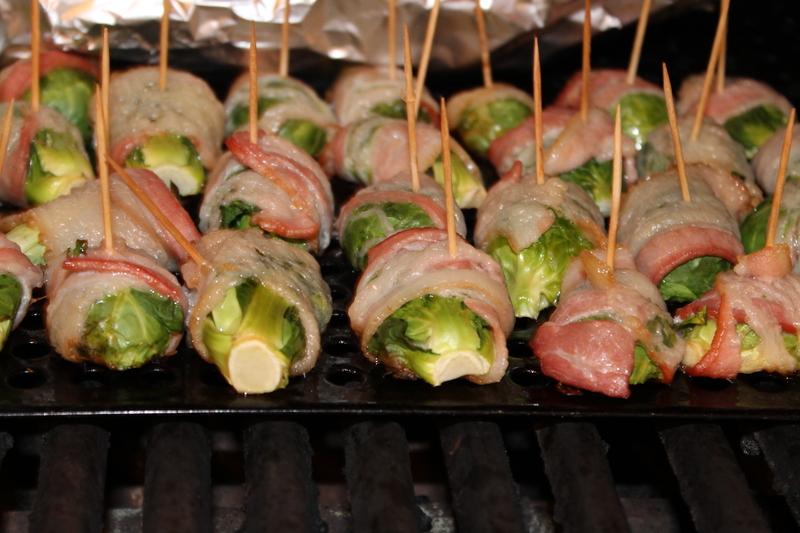 Cut bacon into strips just long enough to wrap around brussel sprouts. Secure bacon with a toothpick. Put all brussel sprouts on a grill pan and place pan on a grill heated to medium-high heat. Cover grill and cook for about 30 minutes, flipping once if needed. 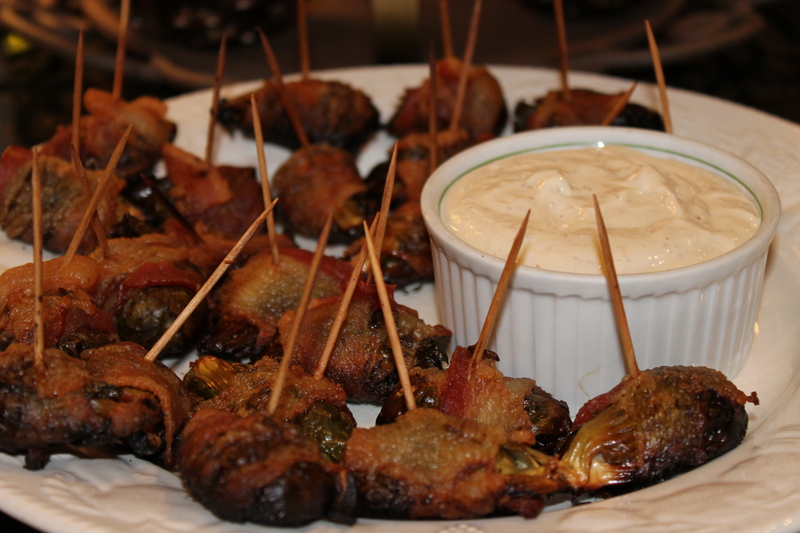 The brussel sprouts can also be cooked in the oven at 350 for about 35 minutes or until bacon is crisp. Serve the brussel sprouts on a platter with the sauce on the side for dipping. Combine all ingredients. Keep chilled until ready to serve. Who doesn’t love a cool, light, refreshing dessert in the heat of the summer? This is a great one to try! It is very light, very moist, and really hits the spot. I used light cool whip and sugar-free pudding along with a box of strawberry cake mix and strawberries. So, as you can see, it is very easy too. 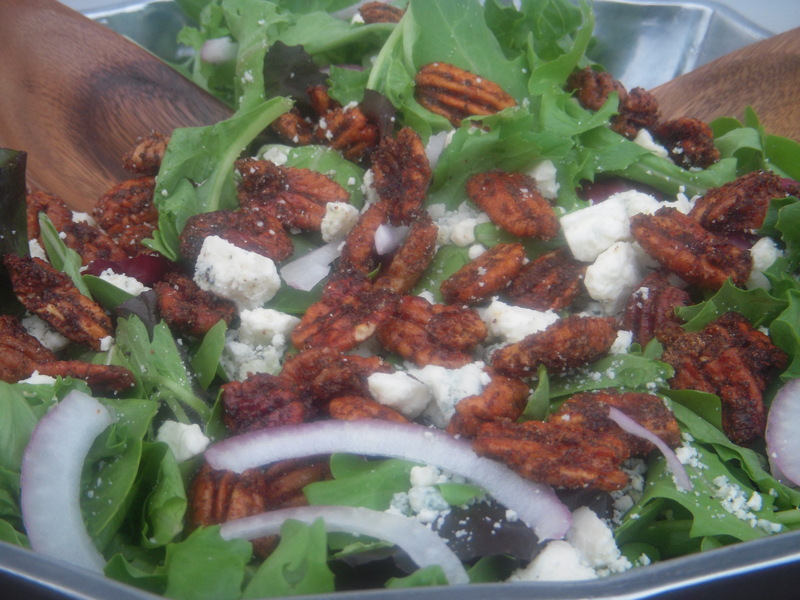 This would be perfect for a back to school barbeque or just a summer get together with family and friends. Begin by baking the stawberry cake in either two round cake pans or one rectangular cake pan. Let the cake cool then crumble into pieces. Prepare the sugar-free instant vanilla pudding according to package directions. Keep refrigerated until ready to use. 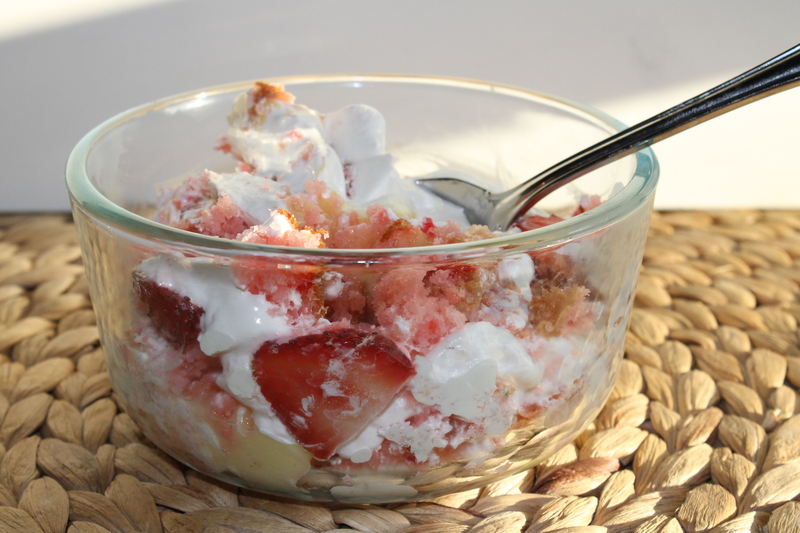 In a large truffle dish, layer the half of the pudding, then half of the cake crumbles, then half of the cool whip, and last, half of the strawberries. Repeat the layers once more ending with the stawberries on top. You want the cake to be very full because it will shrink down as it sets. Keep it cold until ready to serve. Tip-Serve it the day you make it when it looks its best. But, its still delicious a day or two later! I hope you enjoy this end of the summer treat! I love the colors, taste, and simplicity of this dish. Salmon, as you may have already noticed, is probably me and Brad’s favorite fish and weeknight meal. I love to use a little creativity in preparing our salmon. This is a delicious recipe! 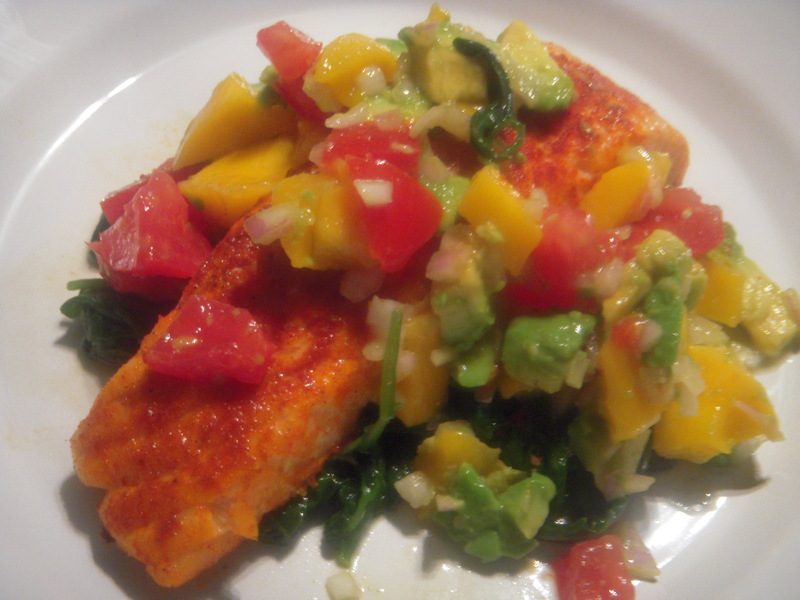 I love the fresh, cool taste of the mango and avacado with the simply baked salmon. I served the salmon over a bed of sauteed spinach. So healthy too! Combine the diced mango, tomatoes, purple onion, and lemon juice. Add avacodo last and toss gently. Refrigerate until ready to use. Preheat oven to 350. Lay salmon on a jelly roll pan and season with salt and pepper. Drizzle the salmon with olive oil and bake for 20 minutes or until desired doneness. This pizza is delicious as a main course, a side or an appetizer. It has very few ingredients that give it just enough flavor. 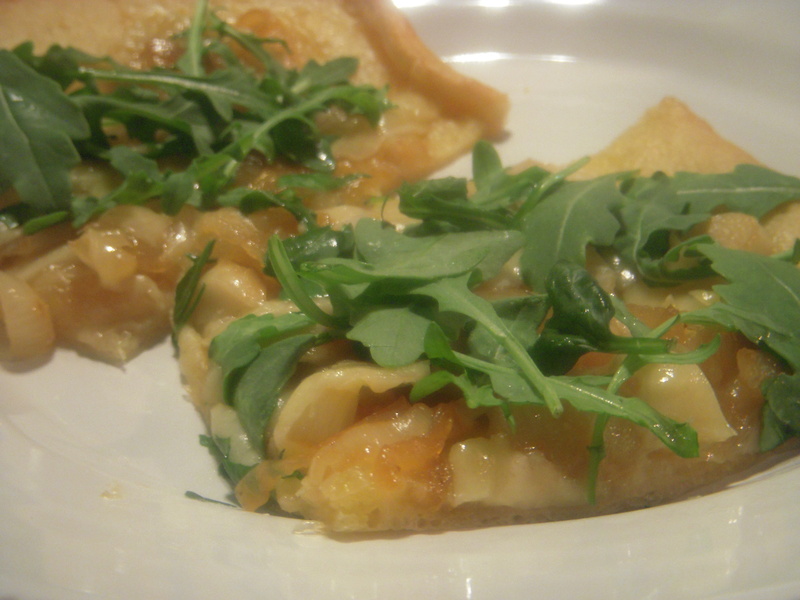 The arugula adds a slight peppery taste to the sweet taste of the carmelized onions and roasted garlic. Pizza allows you to be as creative as you want. I love to make a variety of different kinds. For this pizza, I used a Pillsbury Thin Crust Pizza Dough. You can find it in a can at the grocery. Pizza dough in a can is a good item to keep on hand. 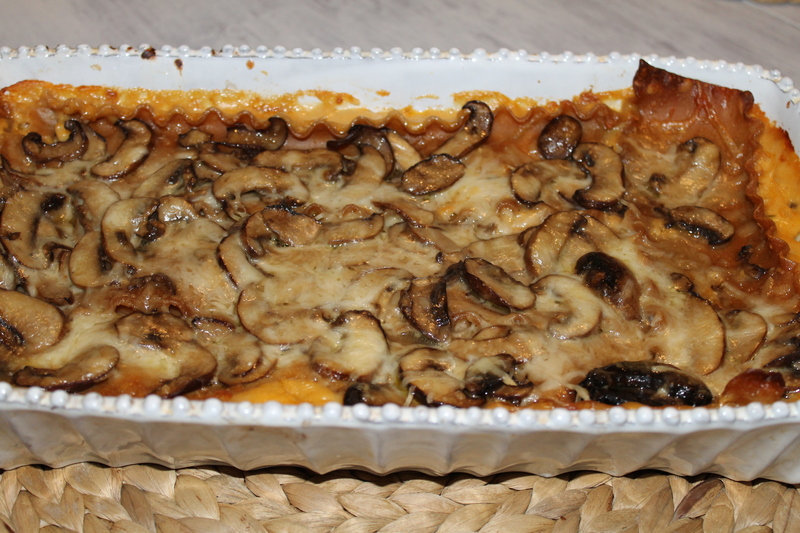 You can pull it out anytime, top it with some leftover meats, vegetables and cheese and dinner is ready! Cut garlic about 1/4 in. from top of bulb. Cover it with 1 tsp. olive oil and wrap in foil. Bake at 400 for 35 minutes or until soft to touch. In skillet over medium heat, heat 1 T. olive oil. Add thinly sliced onions and cook for 8 minutes. Add 1 T. brown sugar and continue cooking until carmelized and soft, stirring often. Place dough onto pizza pan. Bake dough at 400 for 5 minutes. 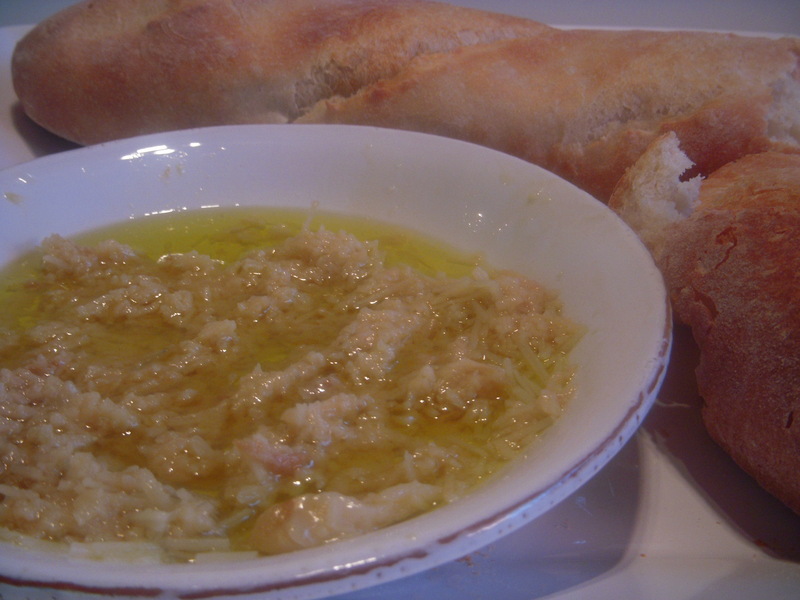 Remove dough from oven and spread 2 T. olive oil onto dough. Squeeze garlic from each clove onto dough and spread evenly. Top with carmelized vidalia onions. Sprinkle cheese evenly on top of onions and garlic. 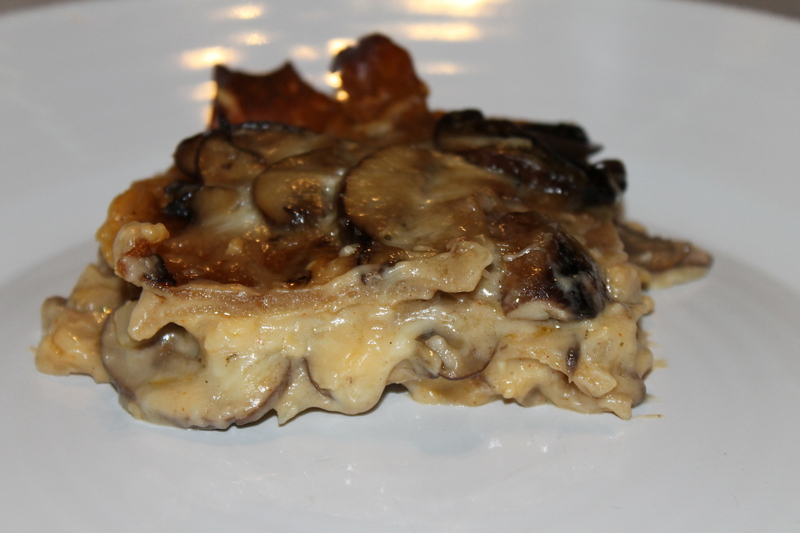 Bake at 400 for about 8 minutes or until cheese is melted and crust begins to brown. 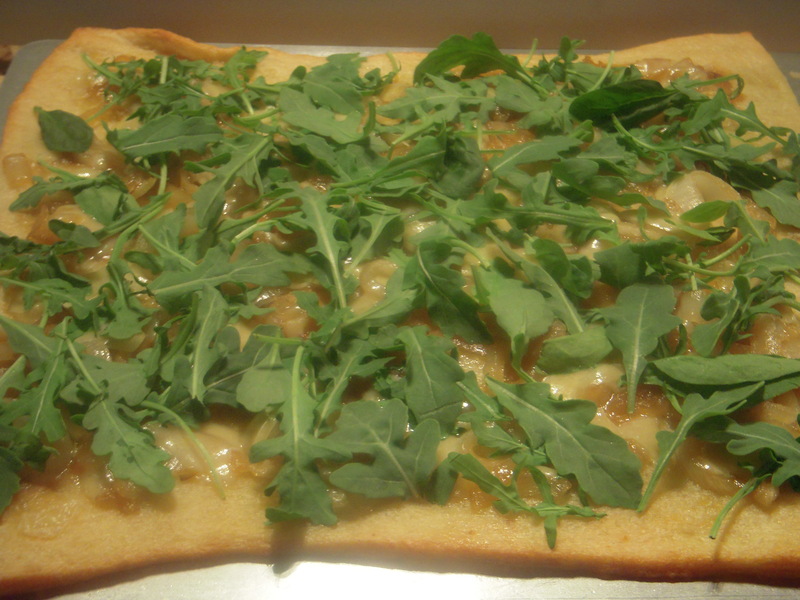 Remove from oven and top with the arugula. Serve! 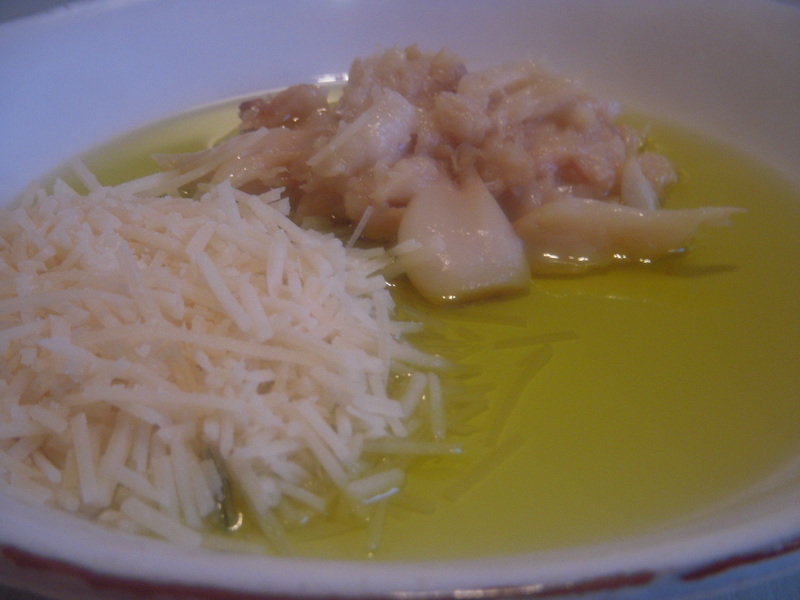 Roasted Garlic, Parmesan Cheese and Olive Oil…You cannot get much better than that!!! Over the weekend, I had dinner with some friends at an Italian restaurant. This is what was served with the bread before the meal. It reminded me that something so simple can be such a crowd pleaser. I knew what I was coming home to make! We all have to splurge every now and then on a little bread and olive oil, but the roasted garlic is the real treat! Garlic is believed to help prevent heart disease and cancer. It is low in calories and very easy to keep on hand. Try this next time you need a simple appetizer or just want a little treat yourself! Cut off the top of the garlic bulb 1/4 inch from the top. Wrap the bulb in aluminum foil and drizzle with 1 tsp. olive oil. Wrap tightly and cook at 400 for 30-35 minutes. Garlic is roasted when it feels soft. Remove from oven and let cool enough to touch. On a serving plate, squeeze out garlic from each clove. Add 2 T. parmesan cheese and a few Tbs. olive oil to the plate. Combine roasted garlic, parmesan cheese and olive oil. Serve with a warm loaf of french bread.